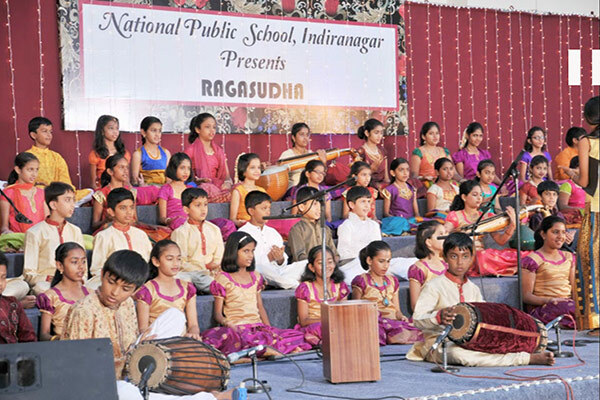 “Ragasudha”, a classical music extravaganza, was organized on 4 February, 2017 at National Public School, Indiranagar. 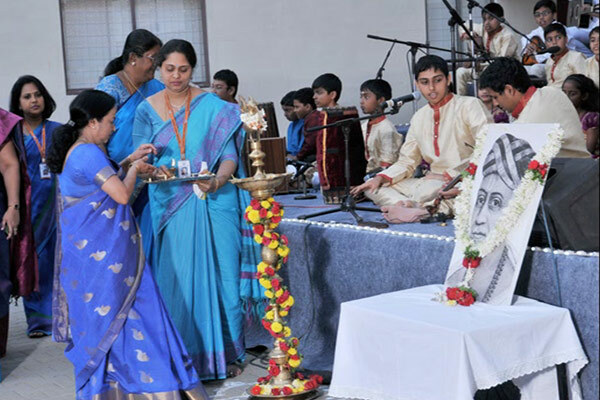 The students and faculty members of the school presented an hour long musical programme, showcasing some of the popular compositions of Saint Tyagaraja. The programme commenced with the lighting of the lamp by Ms. Shantha Chandran, Principal, National Public School, Indiranagar and a soulful rendition of “Maitreem Bhajata” by K Sai Shreyas. 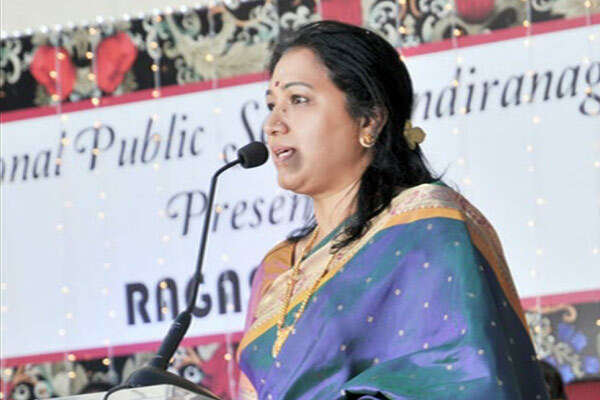 Ms. Shirin Jeyakar, Vice Principal, NPS Indiranagar, delivered the welcome address and emphasized that the school was committed to preserving and promoting the culture and tradition of Indian Classical music through this annual event. 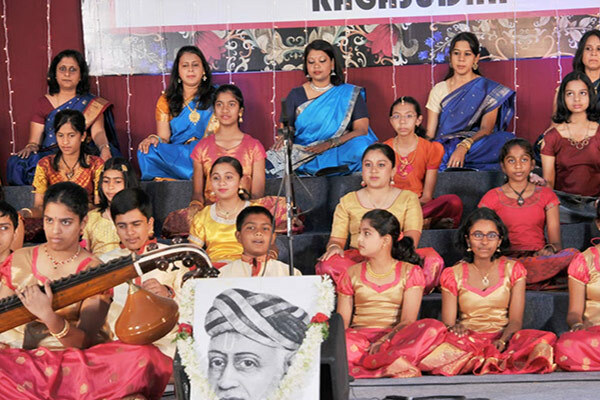 It was pointed out that this year’s edition was a tribute to the legendary Carnatic vocalist M.S. Subbulakshmi, commemorating her 100th birth anniversary. 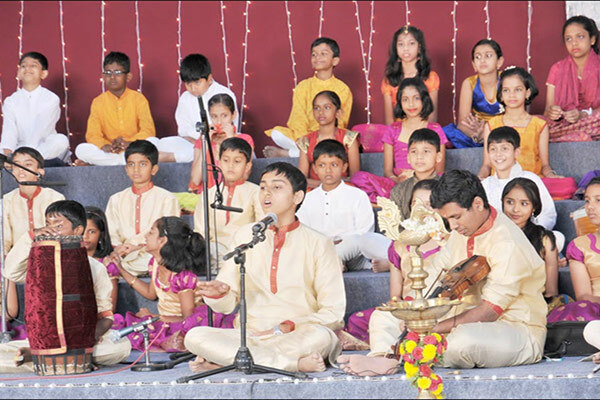 In the first segment of the programme, the junior artistes from Classes 2 to 5 enthralled the audience with a harmonious presentation of some crisp and lively songs, ably supported by a group of in house instrumentalists. 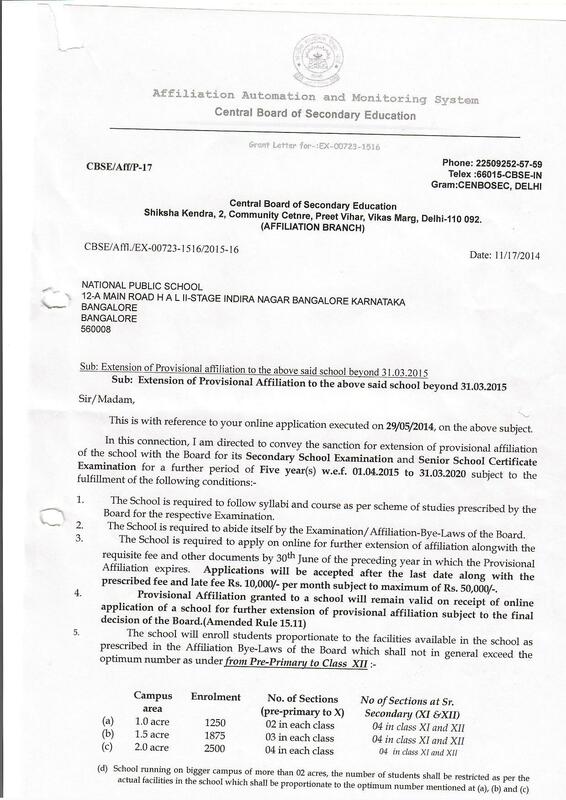 This was followed by a group recital by students ranging from Class 6 to Class 11, which included the piece ‘Kurai onrum illai’, popularized by M.S. 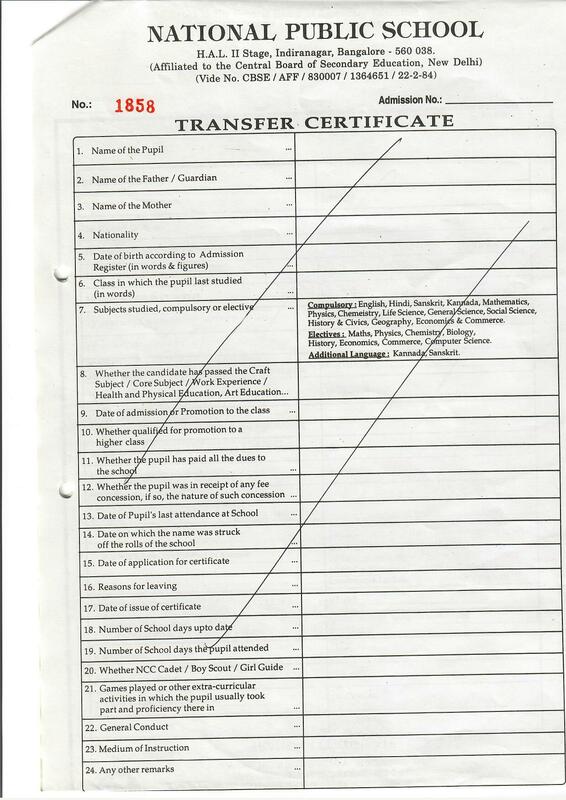 Subbulakshmi. The final segment of the programme was the pièce de résistance – a jugalbandi of two percussion instruments, mridangam and cajón, skillfully presented by two budding artistes of our school. 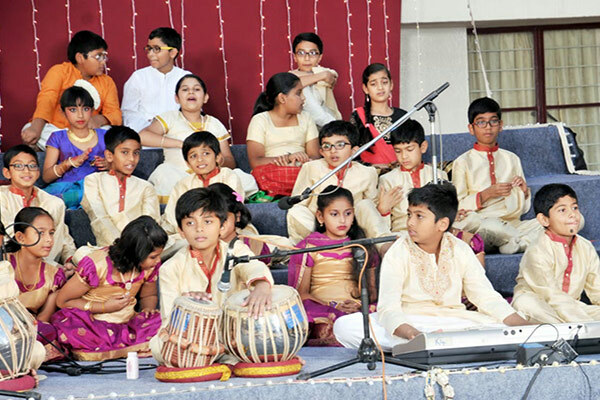 Every part of the concert evoked a thunderous applause from the audience, which comprised of parents, grandparents and well wishers of the performers.